Affordable Trash Dumpster Rental In Pasco County! Trash Dumpster Rental Service At Your Doorstep! We Make Trash Dumpster Rental An Easy Process! 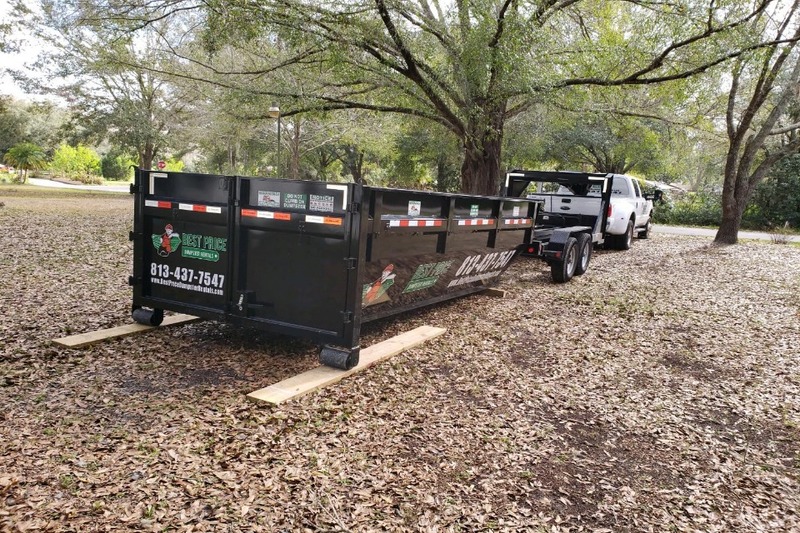 Trash dumpster rental has always been a standard procedure across the communities of Tampa, FL. The only problem is that getting a trash dumpster rental can be somewhat complicated. 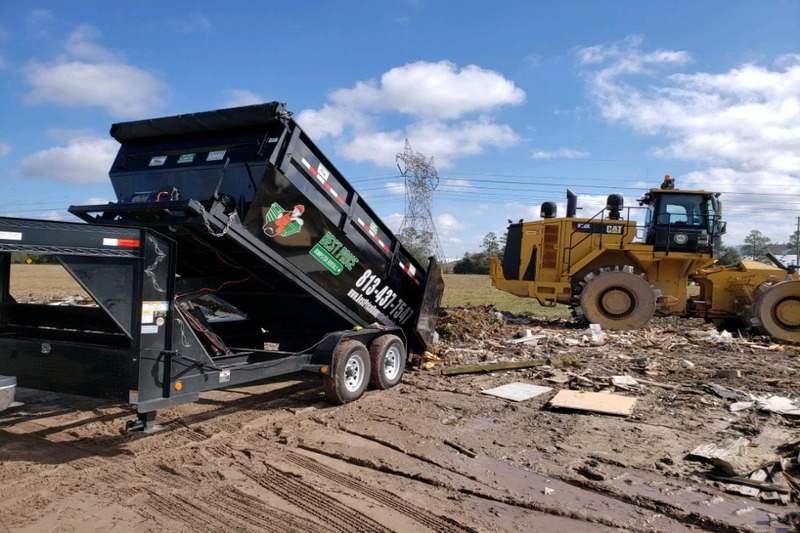 There are too many brokers involved, too many conflicts with localities served, and there are lots of problems in maintaining the scheduled dumpster rental. The bottom line is that dumpster rentals end up being expensive, inaccessible, and problematic. 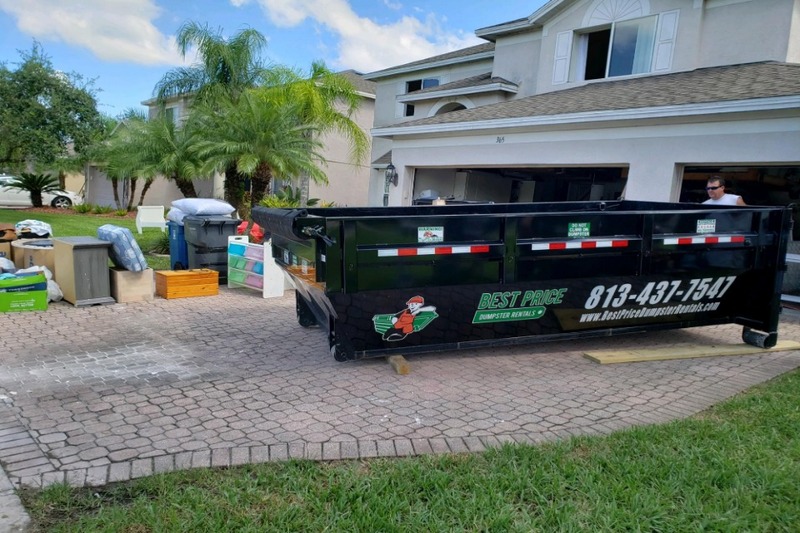 At Best Price Dumpster Rentals, we take all the problems associated with renting a dumpster in Tampa, FL and throw it into the trash dump where it belongs. We cut out the middlemen and offer Tampa trash dumpster rentals directly. Our clients can rent a trash dumpster with a simple phone call or on our website. We provide a free quote for our trash container rental services in Tampa, FL. You can schedule the entire process from booking a dumpster to trash collection. Our award-winning team of waste management experts is always one phone call away. 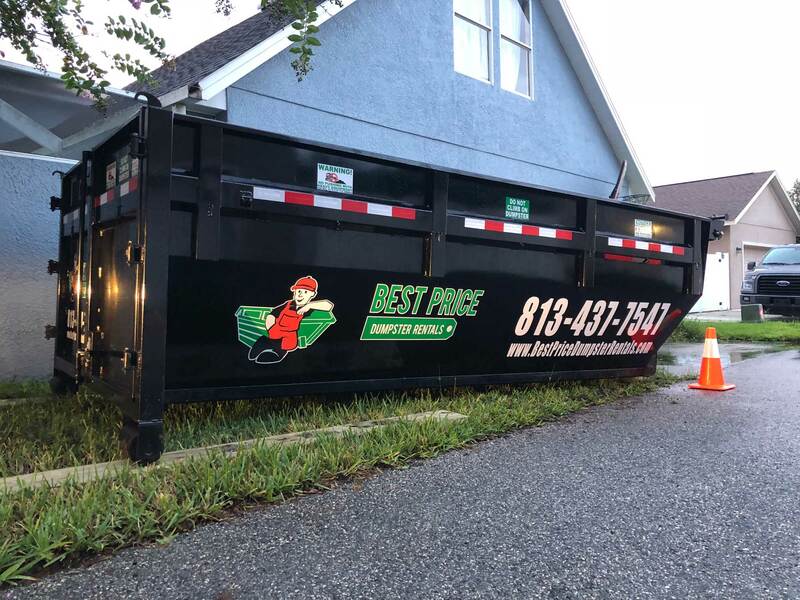 We don’t like to toot our horns, but we have customer testimonials that say that we are one of the best trash dumpster rental providers in Tampa, FL. We have a lot to offer regarding geo-location, dumpster sizes, and pricing. Stop Living With Trash and Contact Us For Trash Dumpster Rental from Best Price Dumpster Rentals! We cut out all of the middlemen, brokers, and profiteers so that our dumpster rental services are affordable and accessible to all. You give us a call, we give you a dumpster to fill up, and we drive away with the junk once the dumpster is full. We have simplified the process of renting dumpsters in Tampa, FL so that there are no delays, no communication gaps, and no excuses. Trash hauling is also a hassle-free process that requires zero effort on your part. 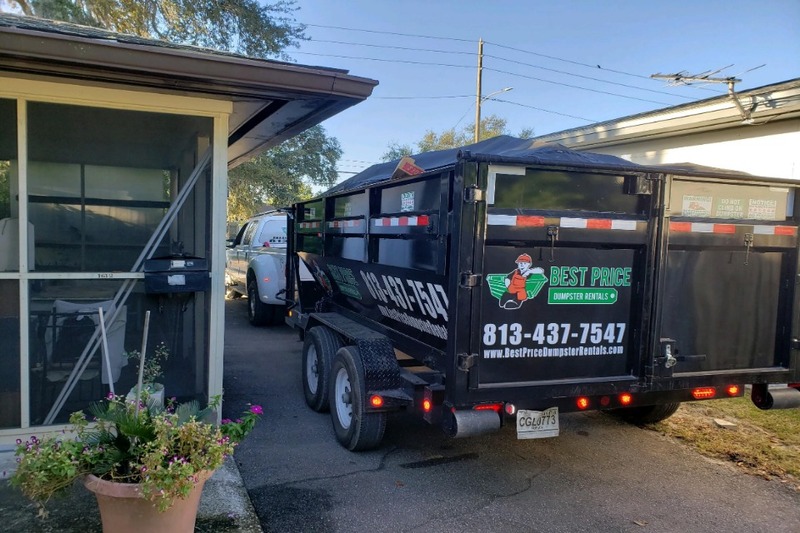 One of the major reasons we receive many requests for trash dumpster rental from our customers in Tampa, FL is the trust we have gained over the years. We have successfully launched a trash management company in Tampa, FL and built a brand around garbage! But even so, there are specific golden rules that we follow strictly. Our customers in Tampa, FL are our most significant source of strength, inspiration, and revenue. Most of our new customers come to our website as a referral from another client. At Best Price Dumpster Rentals, we have taken a long-drawn and challenging task and simplified it by a great deal. We make trash dumpster rentals in Tampa affordable and hassle-free. Our dumpster rental company has earned its spot as one of the best trash container rental companies in Tampa, FL. Affordable Prices: It makes no sense to spend a lot of money on waste disposal and trash hauling. At the same time, waste management is no longer a trivial issue and needs to be dealt with severely. Our affordable prices allow people to do the right thing without spending a fortune. Accessible Services: There are several areas in Tampa, FL that desperately need dumpster rentals for proper waste management. We provide easy access to all of our clients. Check if we serve your locality or not, and rent a dumpster today. No tedious formalities – get started today with our dumpsters. Flexible Range of Products To a layman, a dumpster is just any box that contains trash. At Best Price Dumpster Rentals, we have perfected dumpster rentals in Tampa, FL into a science. We have a wide array of dumpsters suited for specialized trash collection requirements. If you have any doubts as to which dumpster is the right fit, we will help you make that choice as well. Hassle-Free Waste Management: Get rid of your junk with the help of our trash disposal services in Tampa, FL. The garbage disposal facility is entirely free of charge, and it comes for free with our dumpster rental service in Tampa, FL. You are left to deal with nothing more than just paying us a nominal charge for our waste management services. 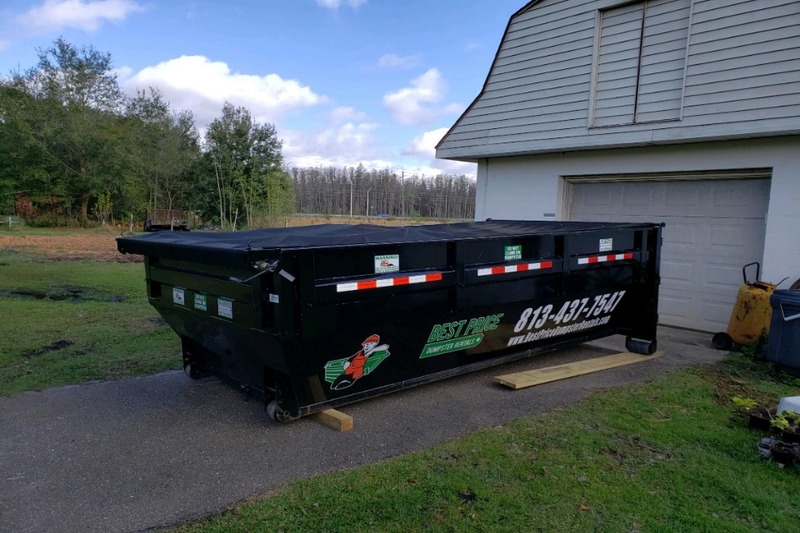 Trash Dumpster Rental Is Now An Easy Thing To Do - Simply Call Us! Waste management is not only about getting rid of your junk – it is about making the world a safer and healthier place. You can become part of our mission towards making Tampa, FL eco-friendly. You don’t need to donate any money towards our cause, and our services are quite affordable. Don’t believe us? Get your free quote today. Do I need a permit to rent a dumpster from you? If you install your rented dumpster on private property, you do not need a permit. But, if you park it on public property (streets, parks, government schools, etc. ), then you will need a permit. Not to worry, our waste management experts will tell you all about permits and whether or not you need it when you call us. My dumpster is full – whom do I call? Call our service executives at 8134377547 when your dumpster is full. Our pickup driver will come pick up the dumpster and the trash. If you need a replacement trash dumpster, we will have a fresh one installed at the same time. What happens to the junk that I throw away? We are committed to recycling the waste material that we collect from you. Lots of our customers in Tampa, FL love us so much because we don’t resort to dumping our junk into a landfill. We take waste management very seriously and are committed to making the world a much better place. Why should I rent a dumpster when I can use junk removal services? Junk removal services usually come by for a single stop and pick up all the junk and debris you have accumulated. While this is a valid option for construction sites, this is not a valid option for residential areas because the garbage collects rather slowly. When should I use a roll-off dumpster? Roll-off dumpsters are usually required for cleaning up the waste of a large household or yard. We will provide the most professional dumpster rental service imaginable.